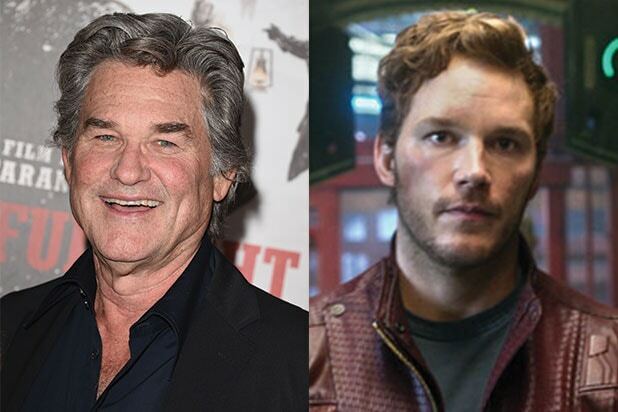 As “The Hateful Eight” prepares to storm theaters, its star Kurt Russell has emerged as James Gunn‘s choice to play Chris Pratt‘s father in Marvel’s “Guardians of the Galaxy Vol. 2,” multiple individuals familiar with the film’s casting process have told TheWrap. Marvel has not officially offered Russell the coveted part yet, nor has Russell read the script, but meetings are expected to take place soon. Representatives for Marvel and Russell declined to comment. Pratt will be joined by his returning co-stars Zoe Saldana and Dave Bautista, as well as up-and-coming actress Pom Klementieff, who is new to the sequel. Bradley Cooper and Vin Diesel will, of course, reprise their respective voice roles as Rocket and Groot. Diesel just worked with Russell on “Furious 7,” though it’s unclear whether Diesel lobbied Gunn to cast Russell or played any part in his potential recruitment. Production will begin early next year, with Disney releasing “Guardians of the Galaxy Vol. 2” on May 5, 2017. The original space opera grossed $774 million worldwide. Russell is considered geek royalty amongst genre fans thanks to his charismatic hero turns in John Carpenter‘s “Escape From New York,” “The Thing” and “Big Trouble in Little China.” He’s represented by CAA and manager Rick Nicita of RPMedia.